Arlington, TX, 2018 – Agora Data, Inc. (“AGORA”), a Texas-based provider of technology solutions for the financial services industry, announces its joint newly-launched integration functionality relationship with DealerCenter. “Protecting our dealers from exposing loan data when they make their portfolios available for sale and giving dealers more liquidity is the mission of AGORA,” stated AGORA founder and CEO Steve Burke. “DealerCenter is an exceptional dealer management system, and we are excited to have them as one of our key integration partners, who enable dealers to seamlessly and securely offer their loans for sale to our 60-plus banks, finance companies and credit unions – avoiding unsafe emails and data files,” Burke continued, “The DealerCenter integration continues to expand AGORA’s ability to help sellers sell faster, sell more profitably and sell securely”. DealerCenter is a feature-rich, web-based dealer management systems (DMS) designed specifically for the used car dealer. With direct integrations with other industry-leading solutions, DealerCenter’s 11,500 dealer clients receive all relevant services through a single, easy-to-use platform. Through the integration with AGORA, dealerships on DealerCenter will have their loan information concurrently available on AGORA, where they can securely select loan pools for bidding or financing from more than 60 lenders that acquire loan pools or finance them on the AGORA platform. The entire placement, bidding and acquisition of loan pools is completed inside the AGORA platform, without exposing private customer data, transaction activity and collection notes to outside parties. 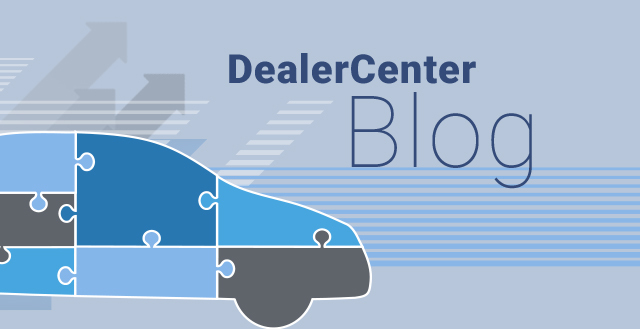 “DealerCenter is committed to providing strategic integrations that enable our dealer customers to converge their operation into a single platform. Partnering with AGORA aligns perfectly with our focus on adding value for our Buy Here Pay Here dealers,” commented DealerCenter Sr. VP of Sales and Marketing Jesse Martin. Since its launch in April 2017, AGORA’s flagship loan exchange platform has rapidly revolutionized the secondary market for auto loans, allowing buyers and sellers to publish and exchange loan data directly in an efficient and secure environment without the need of intermediaries or brokers. AGORA was created in response to the many friction points and inefficiencies that exist in the manner that auto loan portfolios currently trade – namely poor and inconsistent data, lack of transparency from the brokers that previously dominated the market and heightened regulatory concerns over unsecured transmission of personal consumer data. Founded by industry veterans, Agora Data, Inc. is an Arlington, Texas-based developer of financial services enabling software and solutions. Its flagship application AGORA was launched to create a true marketplace for buyers and sellers of auto loans. With the launch of its initial commercial release, AGORA has turned to buildout subsequent releases to include extremely robust due diligence, pricing, reporting and compliance modules for the platform. Visit www.agoradata.com for more information.